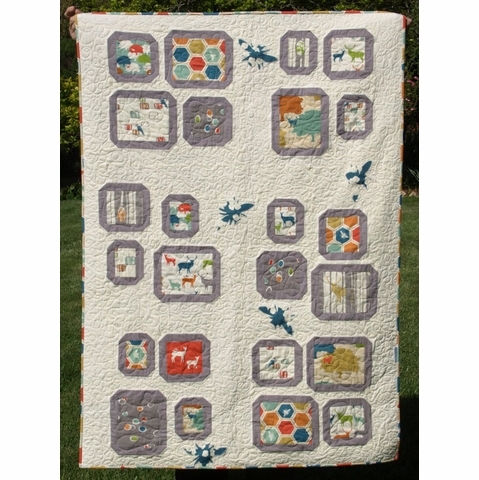 This fun pattern makes for a gorgeous, modern nursery quilt. 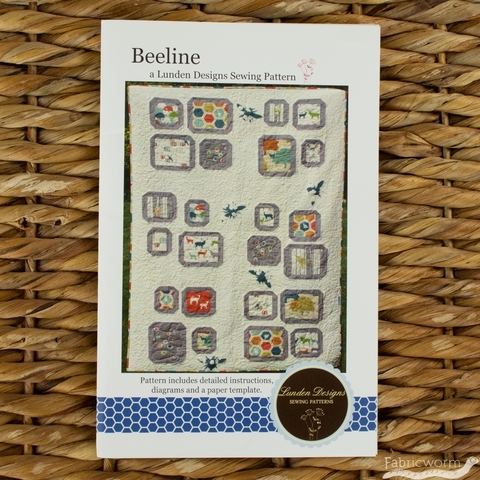 The appliqued bees add a little extra whimsy to the design. 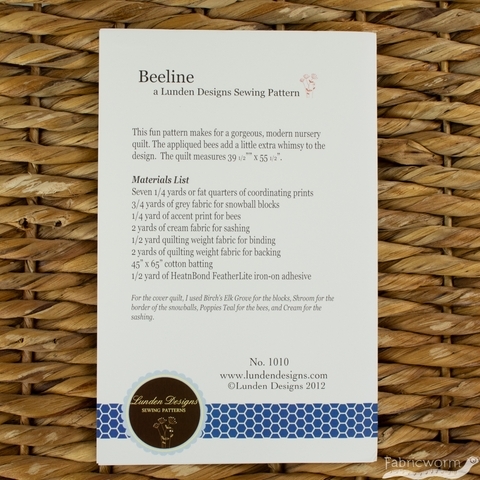 It includes detailed instructions, diagrams, fabric requirements and a full size paper bee template. 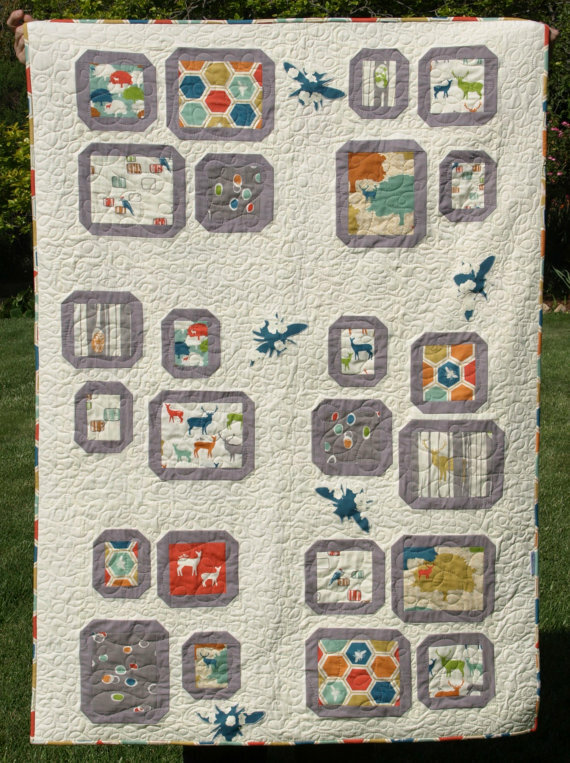 Finished Size: Baby Quilt - 39 1/2" x 55 1/2"